When Oliver Davis first heard the ‘Molitor’ Stardivari violin he was immediately inspired to write a piece for it. Ingles & Hayday had loaned the 1697 instrument made by the Cremonese master to the soloist Jonathan Hill for a short time, and it was when Hill played it in Davis’s Soho studio that the forty four year old composer knew he was hearing something extraordinary. ‘I sent Jonathan off to make a cup of tea,’ Davis tells me, ‘and set to work at once. It took an hour from start to finish to compose a piece specifically for the instrument.’ When I asked Davis if this was some kind of record for him, he paused for a second. ‘Probably,’ he said. The result is a haunting lullaby for strings and solo violin which brings out the Molitor’s unique range and sweetness of tone. It is a luxurious sound that many famous musicians have appreciated, including Alena Baeva and Anne Akiko Meyers. Further back, the violin’s history is a beguiling one. Thought to have been owned by Napoleon Bonaparte, the instrument passed into the hands of the Parisian socialite Juliette Récamier until 1804 when it came into the possession of a general in Napoleon’s army, Count Gabriel Jean Joseph Molitor. For some, myself included, the idea that one can go from initial spark to polished recording in sixty minutes boggles the mind, and I was keen to find out more. What’s the process? Davis explained how technology enables him to speedily turn the music in his head into notes on a page. ‘If I want to sketch something quickly, I use a programme called Cubase. That’s what I used for the Molitor. If I want to do intricate arrangements for orchestral parts I use something like Sibelius.’ Using Cubase, Davis swiftly clicks through various samples and colour-coded channels on his screen to show me how flexible it is. Within seconds his printer is miraculously churning out a crisp sheet of music. ‘Jonathan is a gifted sight reader, so in no time at all he was able to take the music into the recording studio. We did a few takes, and I filmed him through the studio window on his phone. Technology is only a tool of course, and the behind the sleek façade, the composer’s talent is restlessly at work. The son of acclaimed musician Howard Davis, Oliver was born into a world of skilled musicians and first rate musical influences. From the age of three he played violin every day, a grounding he credits with the role strings now play in his arrangements. It was at the age of nine or ten, when he first encountered a synthesizer, that Davis knew he wanted to be a composer. 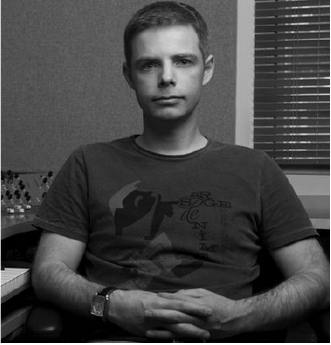 He eventually carried his interest in electronic music to the RAM, where he studied under Justin Connolly. ‘I was the first person to take the commercial music course as well as the classical one at the Academy’ he tells me. Arguably, it’s the blend of popular and classical which defines this Davis’s style, and one that keeps his work in demand. Inspiration for Davis, therefore, clearly comes from a myriad of sources. Even, in the case of the ‘Molitor’, from the qualities of an individual instrument. I’ve heard of pieces being composed for specific musicians before, but can’t off the top of my head think of any created for a specific violin. Can Davis put into words the qualities of the Molitor Stradivari that inspired him? He pauses, hesitant to put it into words. Perhaps it’s all there in the music. After all, music starts where words stop. It says the unsayable.